Photo courtesy of Random House. 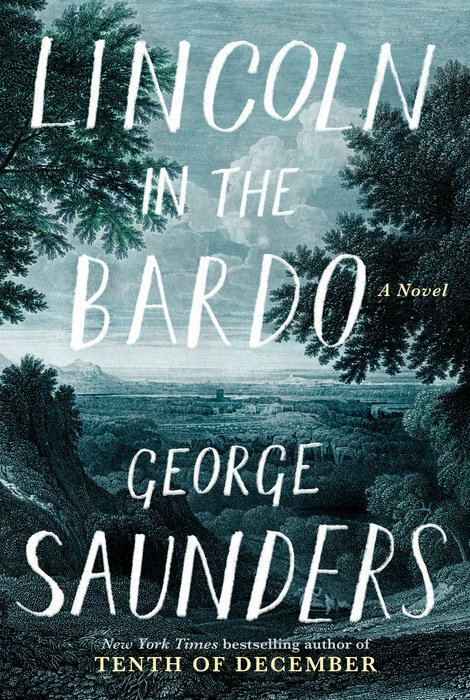 Lincoln in the Bardo – A novel by George Saunders, published by Random House in February of 2017. February 20, 1862. Downstairs at the White House, the Lincolns are hosting a massive dinner for hundreds of guests. Upstairs, eleven year old Willie Lincoln is dying. Folks thought it inappropriate for the party to go on while Willie lay dying, but the Lincolns forged ahead, occasionally venturing upstairs to look in on their son, who lay dying of typhoid fever. He passed during the night. As it turns out, Willie wasn’t quite ready to leave the earth. And the stage is set for George Saunders’ brilliant novel. Lincoln in the Bardo, simply put, is a ghost story. A really good ghost story. Young Willie is laid to rest in a nearby cemetery, where he meets the spirits residing there. There are preachers, slaves, whores, gay and bisexual men and women, drunken Irishmen, murder victims, angels and demons; you name it, they’re there. Saunders has written his novel in an unusual style, combining snippets from historical documents with conversations amongst the spirits. Willie, and his fellow graveyard residents, don’t yet know they’re dead. The spirits work hard to help Willie cross over. He’s much too young to be confined in this space for eternity. 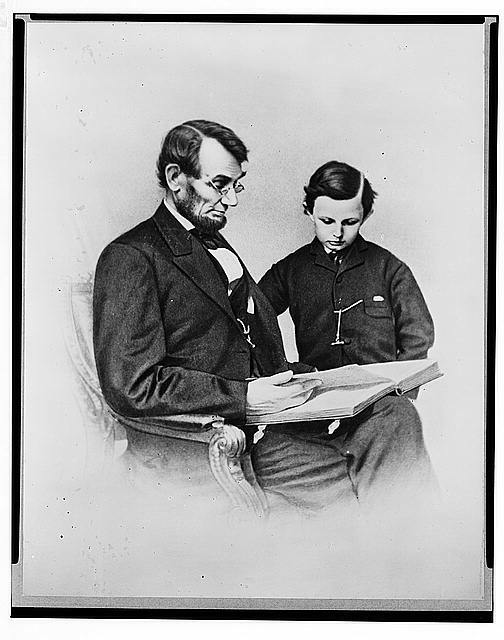 Photograph of Abraham Lincoln and his son Tad by photographer Anthony Berger, 1864. Photo courtesy of the Library of Congress. The spirits have a concept of time and they notice that, after Willie had been placed in a crypt, a tall, lanky man with the saddest countenance they had ever witnessed, comes to visit him, taking the child’s earthly remains out of his sick-box and sitting on the floor of his sick-house, holding the body in his lap and weeping uncontrollably. The spirits become a bit jealous, because someone is actually visiting the little boy. Saunders’ novel is funny and touching. We see a grieving father and we see grieving spirits. We see a system of class in the spirit world, and we see all of these spirits joining together to help a child. When you read Lincoln in the Bardo, picture yourself as listening to a group of people having a conversation and telling a story, and you’ll really enjoy the book. 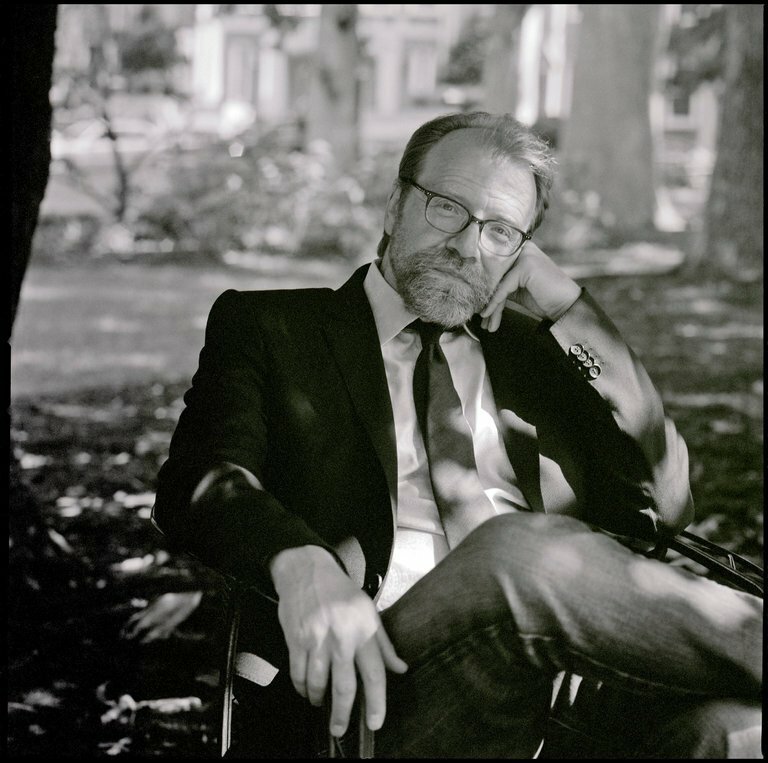 Author George Saunders by photographer David Crosby. Photo courtesy of The New York Times.